Hey, what week is it? Cmon..cmon…guess what week it is? 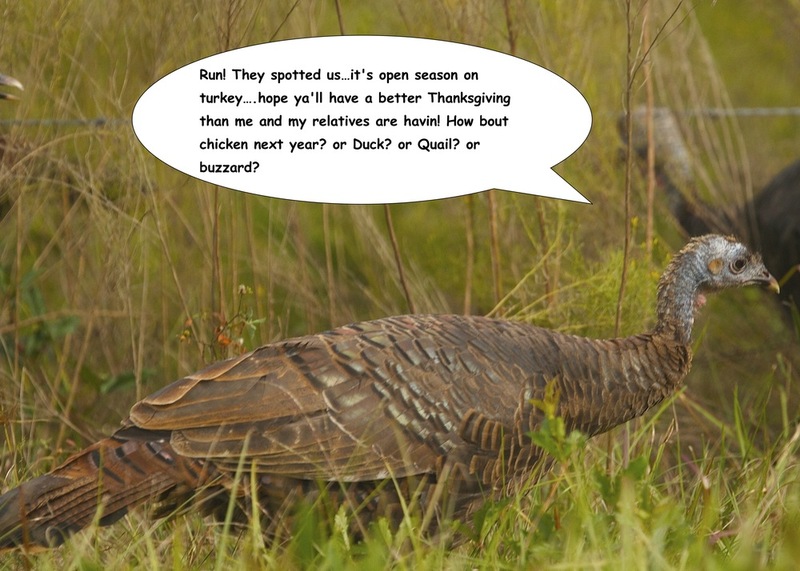 It’s TURKEY Week! Wonder what they are eating on the Broward this Thursday? For many of us it will be a feast of Turkey or ham, pies, cakes, casseroles, stuffing and other traditional fare. 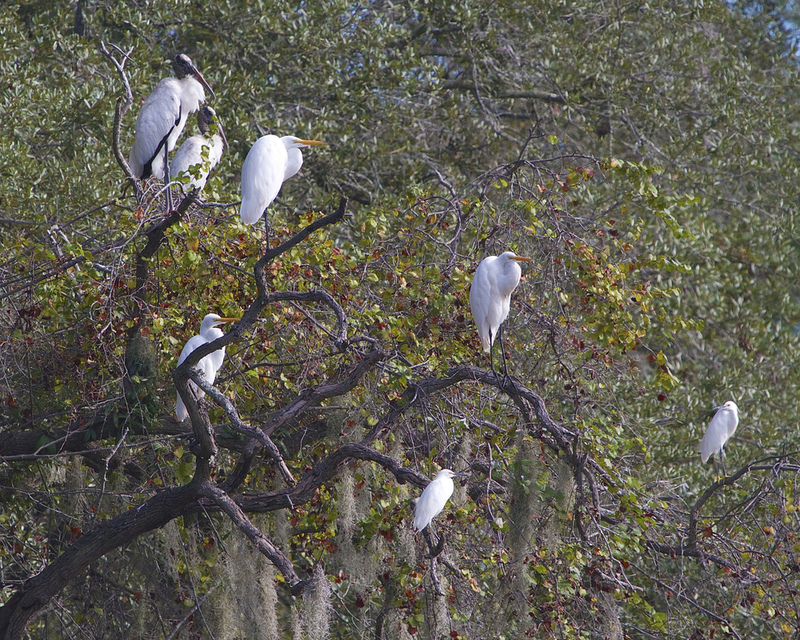 But for the birds of the Broward it is going to be their traditional fare too..mostly fish I would surmise. Ever wonder what the Pilgrims really ate at the first Thanksgiving? Was it really turkey? Governor William Bradford of Plymouth Colony declared the first Thanksgiving in America. Being one of his direct descendants, it is indeed a special time for me. It was he who gathered the surviving soles of that first winter (over half the original 102 who made the voyage died the first year) and invited their neighbors, the Wampanoag Indians and Chief Massasoit, to a special meal of thanksgiving for all that the Native Americans had done for them. They also gave thanks to God for bringing them, the survivors, through to the first harvest in this new land. According to written chronicles of Edward Winslow, the first Thanksgiving fare was a three-day festival that did indeed consist of fowl shot by the Pilgrims (turkey were numerous in the area). The Native Americans (about 90 in number) arrived with five fully cooked and dressed deer. They also ate fish and cornmeal cakes (but not the sugary kind we are familiar with as they probably had used the majority of their sugar stores by then). And so began the tradition in the year 1621, that we celebrate this week. FISH SMISH...I WANT TURKEY, (time series Osprey launch). Someone say TURKEY! 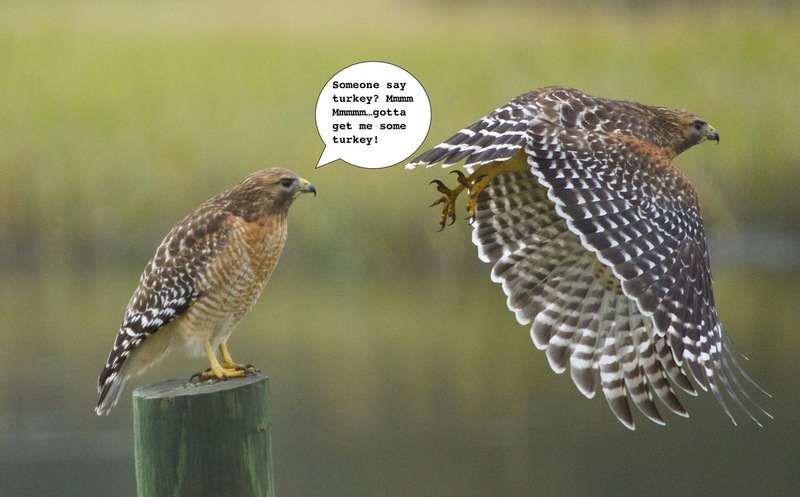 Red Shouldered Hawk launch series. Hmm...roadkill or fresh turkey? They don't call me a Turkey Vulture for nothing ya know. Nobody here but us deer. Have a Blessed Thanksgiving! Here I am near Cape Canaveral for the Sandhill Crane liftoff. The frontal system has passed in the night but morning clouds still linger over the coast. There is a brisk northeasterly wind blowing. The cranes hop up and down flexing their broad wings in anticipation. The countdown begins…Three, Two, One….liftoff. We have Sandhill Crane liftoff…. AHHHG, they are going in the wrong direction! We fully anticipated a launch into the wind. Instead, they launch with the wind to the opposite side of the click pond and away from our waiting lens. Missed them again. Scurrying down between the click ponds we try to catch the few lingering Sandhill Cranes take off. There they go. But in the opposite direction into the wind just like we anticipated they would do the first time. Missed again. Well, just like there are more fish in the ocean there are more birds in the click pond. The sun finally peeks out between the clouds and the winds die down giving us some good reflection shot opportunities. A cooperative Tricolored Heron hunts minnows within a few feet of us among the Spoonbills and Egrets. Packing up, we head towards the St. 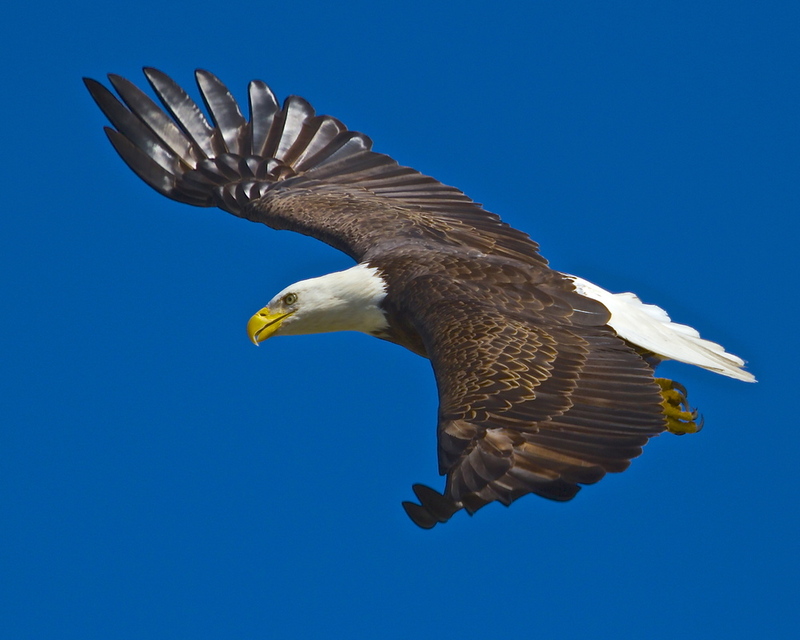 Cloud Kissimmee area to visit some known Bald Eagle nesting sites. The eagles are not on the nests but there are signs they have been there. We head further south to another well-known site called Joe Overstreet Road and almost immediately I spot it. There on a power pole sits a majestic Bald Eagle. As it turns its head I can see signs of recent aerial battles. We stop and wait. The eagle calls. It lifts its mighty wings and swoops down right in front of me and into a pond on the other side of the road. Click. Ever look into the eyes of an eagle real close? I did and will never forget the piercing look. We hear more calls and the mate and a juvenile eagle soar by. Their wings are so majestic in flight. Some Sandhill Cranes are also in the field. 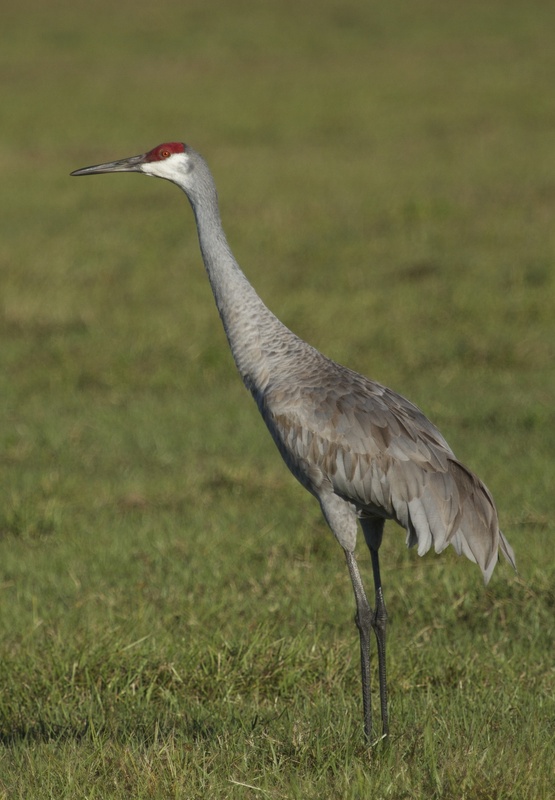 These tall cranes are beautiful in full sunlight with their bright red head crown feathers and red eyes. I turn my back for a second and the cranes are airborne. What a sight. Sandhill Cranes jump with excitement as they anticipate the liftoff. And we have liftoff... but they turned the wrong way! 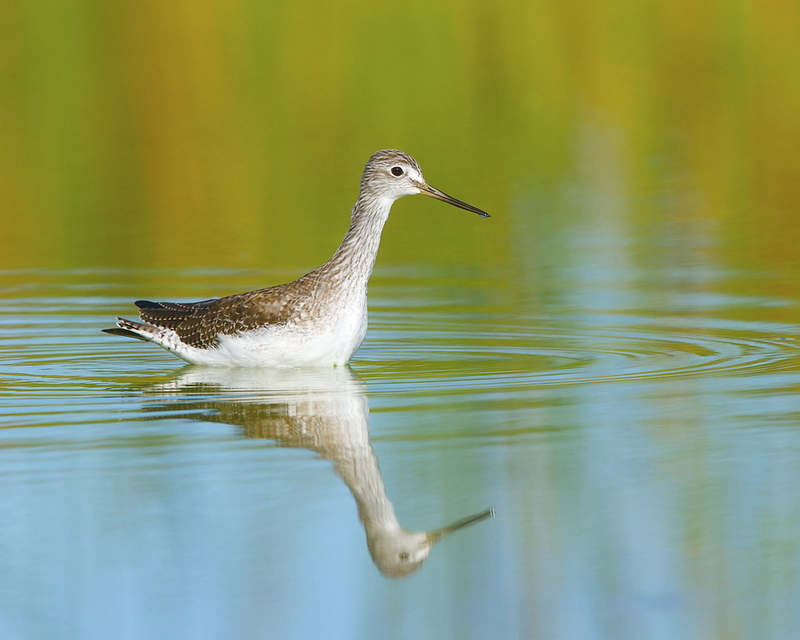 A Greater Yellowlegs reflects in the morning light. Roseate Spoonbills get even pinker in the red morning light. A White Pelican hops over the click pond ahead of me. 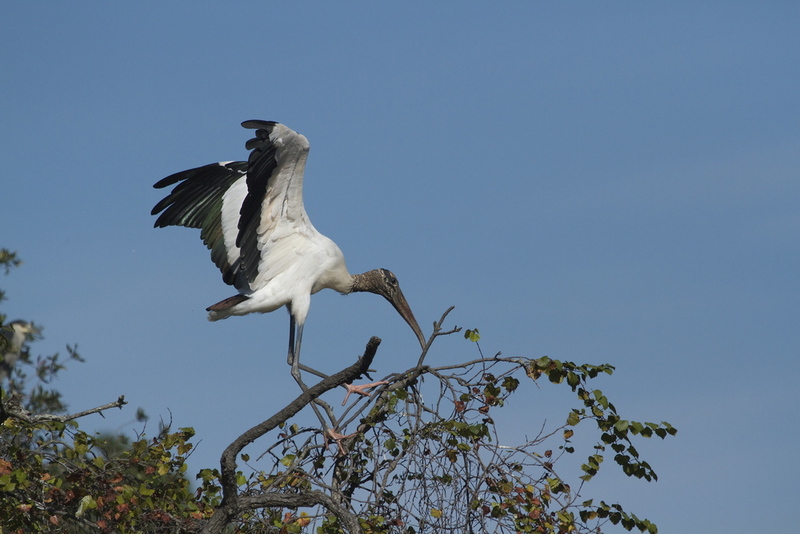 I feel pretty, A Wood Stork lifts off in the morning light. 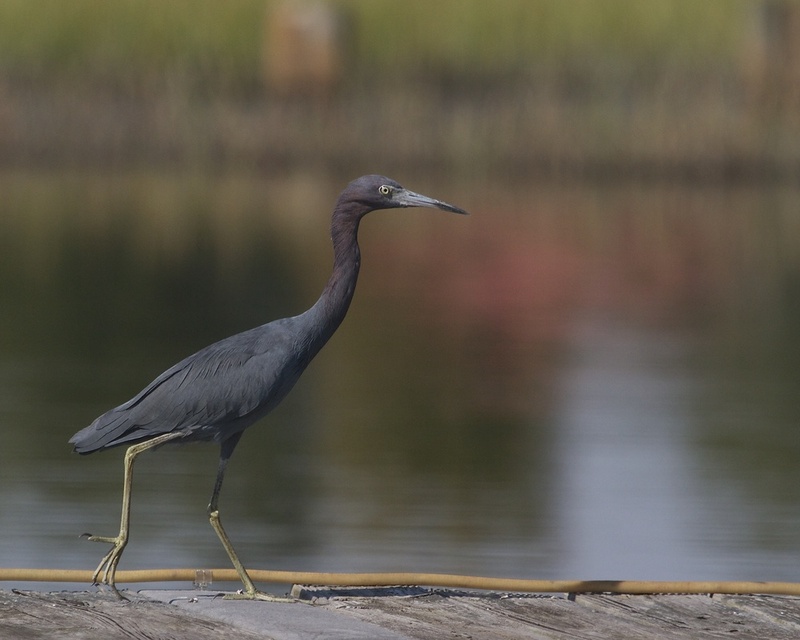 The mighty minnow hunter, a Tricolored Heron about to strike. Sitting proudly atop the pole, the Eagle shows signs of a recent aerial battle around the eye and neck. Ever look closely into the eye of an eagle? I did on this close fly by. The wingtips reflect like leather in the sun as the Eagle swoops down in front of me on broad outstretched wings. So this is what they look like in the sun.. My first sunny Sandhill Crane. 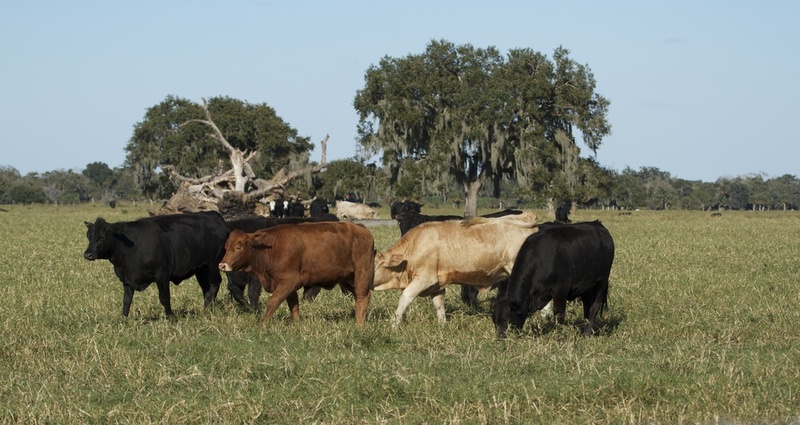 Rare cowbird species, these creatures are not capable of flight though. Ever seen those commercials about children going to Disney World for the first time? I am just like those kids when it comes to bird workshops and am wide awake long before the morning of my departure. The predawn sky is bathed in golden light. Checking my camera settings I head for the dock. A shadow passes over my eyes. I glance overhead and there directly above me is one of the Bald Eagles of the Broward flying up the river. Instinctively I raise the camera, and press the doohickey as I lock on to the fleeting majestic bird. Into the sun, it is a bad shot but a good omen I hope. I arrive the day prior to the workshop in New Smyrna Beach Florida (Thanks Adrian for use of the condo). The weather is perfect today but a frontal system is forecast to be here by early morning. In the early afternoon I check out the Cape Canaveral National Seashore for future kayak opportunities and get a few photos of Osprey circling overhead with their fish catch. 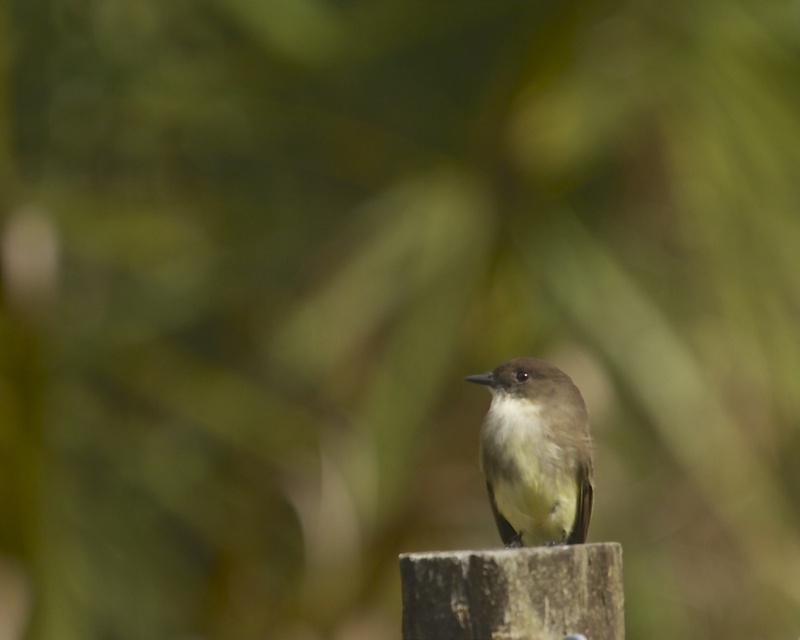 One perches on a power pole and lets me approach before lifting off like a space shuttle with a majestic show of wings. Click. 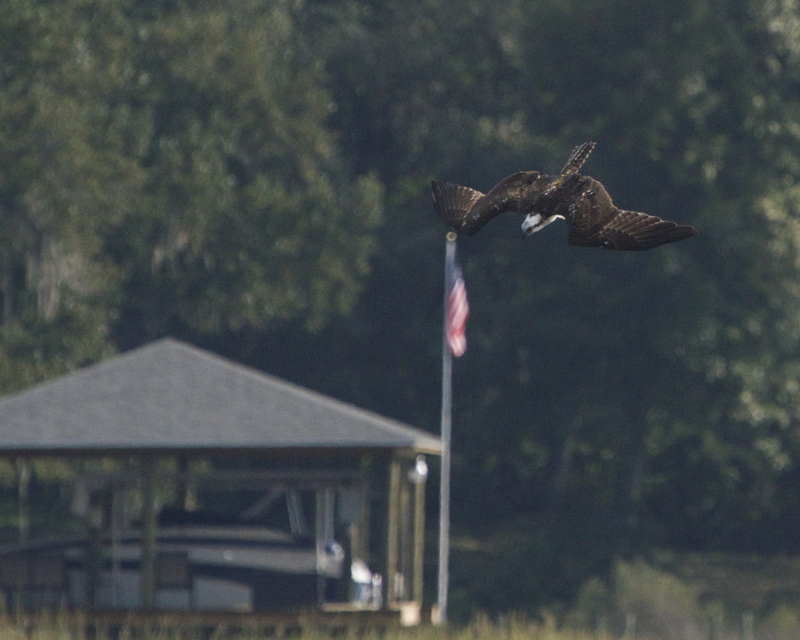 Later at the Viera Wetlands I watch a Bald Eagle swoop in on an Osprey that just caught a fish. An aerial ballet and battle begins. The Eagle doesn’t take long before it tries to steal the fish. The Osprey clutches his prize with tenacity but alas the bigger stronger bird prevails somewhat when the fish tears in two. They both fly off with less fish than anticipated though. Still anxious with anticipation, the next day I am up hours before the sunrise that never came. A thick fog surrounds the Viera Wetlands where we meet. Sandhill Cranes and dozens of other marsh birds have gathered in the low waters of the retention reservoirs know as the “Click Ponds”. You can hear the cranes calling to one another. Trouble is you just can’t see them. We take what I call “mood shots” in the fog as it begins to burn off and watch the cranes lift off in the predawn mist. 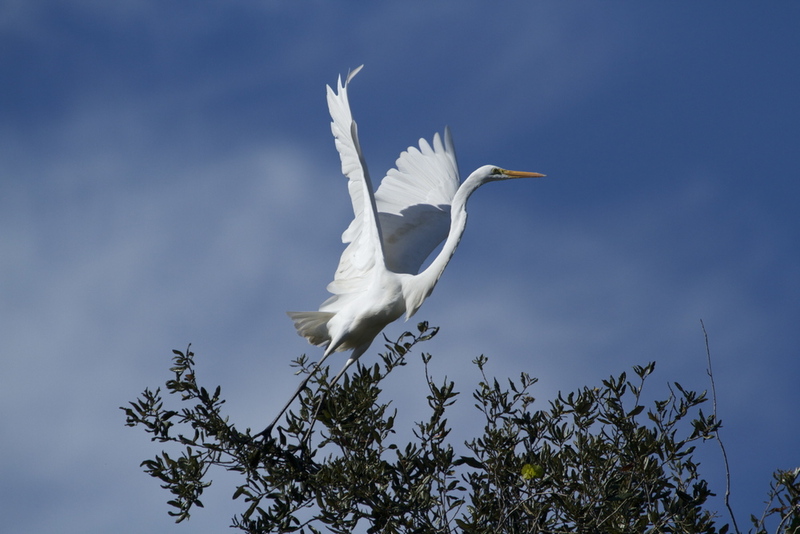 Great and Snowy Egrets, White Pelicans, Roseate Spoonbills, various ducks, Great Blue and Little Blue Herons, White and Glossy Ibis and several species of Sanderlings and other shorebirds have gathered in the shallow ponds. There they feed on the bounty of fish and minnows trapped below the surface while avoiding a small alligator. We get some less than ideal light to photograph in due to the clouds but the variety and number of birds make the task a pleasant challenge. 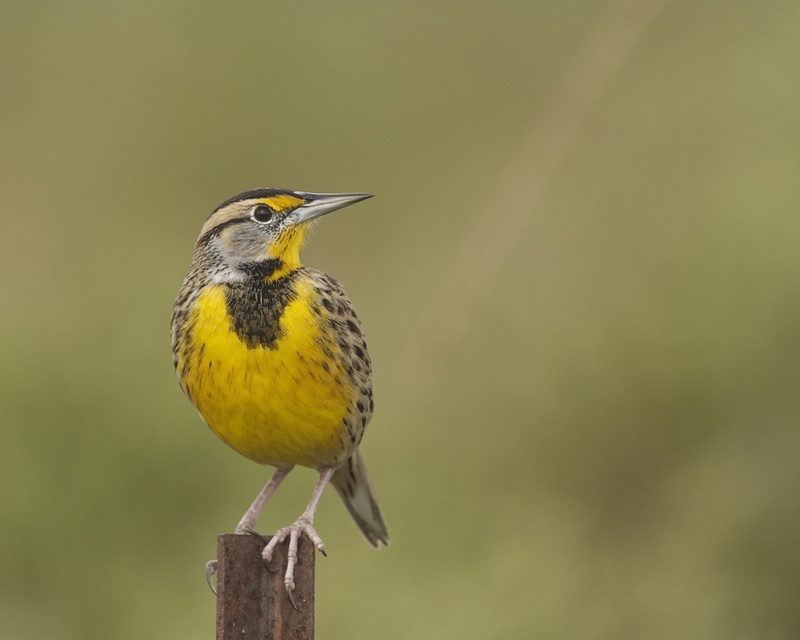 Later that morning the sun peaks through and we catch some bright yellow Meadowlarks singing along the fencepost and watch a Loggerhead Shrike hunt for insects. 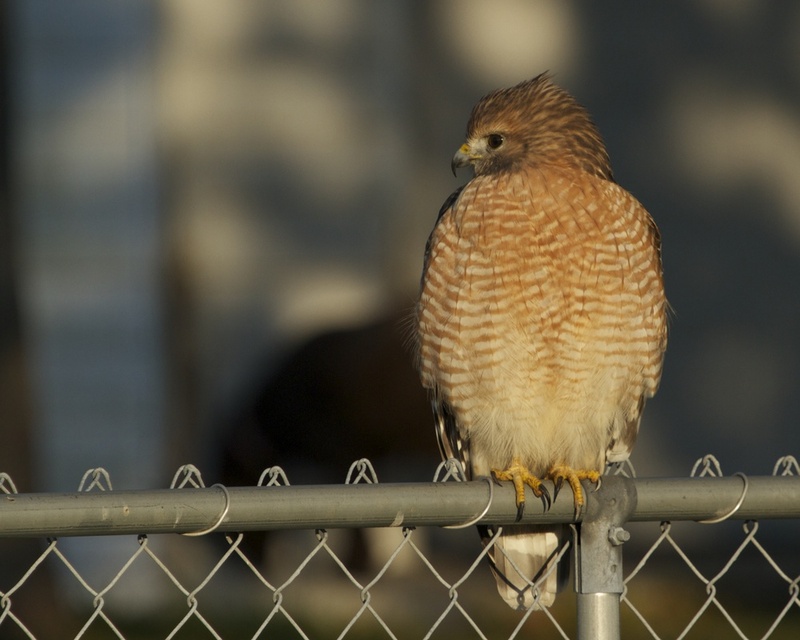 A beautiful and cooperative female Kestrel (a dove sized small falcon) poses briefly for some pictures. As we leave we spot a small flock of wild turkeys pondering the upcoming Thanksgiving demise of hundreds of thousands their relatives. Golden sunlight paints the predawn sky. And we have liftoff from Cape Canaveral. An Osprey launches into the sky. Here is that fresh fish you ordered. Osprey with fresh catch. Pie Billed Grebe camouflaged at Viera Wetlands. An aerial ballet and battle begins as the Eagle tries to steal the Osprey's fish. Well half a fish is better than none at all. So this is where that redistribution philosophy comes from. Pairs of Sandhill Cranes gather in the predawn fog preparing for liftoff. Can you spot the imposter White Pelican? 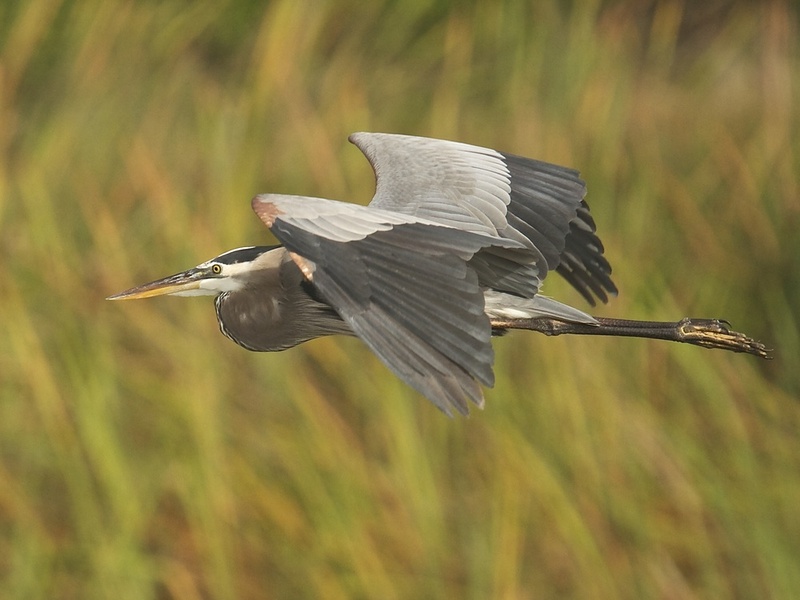 As the sun peeks thru I catch a Great Blue Heron in flight. This bird can sing! Hitting a high note. Loggerhead Shrike protests our presence. 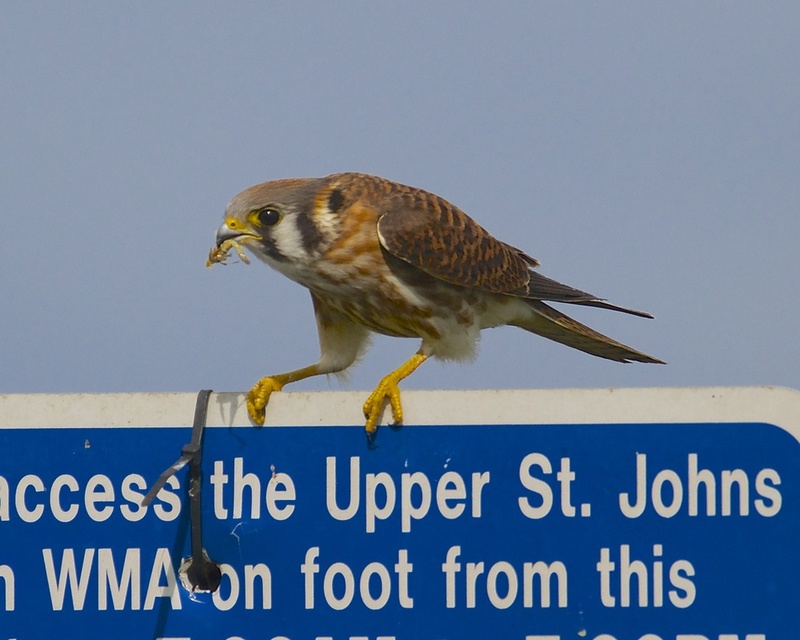 Snack time for a Kestrel. Female Kestrel scans the grass for more snacks. Kestrel in flight, my best shot of the workshop. Roseate Spoonie shoots a moonie to a passing Raven!.